Whether you go on a Quest project or expedition, you're likely to be a lot fitter by the end of the trip than at the start. These lovely ex-Quest ladies are this year taking their fitness levels even further and are all running the gruelling London Marathon this April. It's not just about the physical and psychological achievement though, each of them are running for charities very close to their hearts. Heather Rayment (Yachana 2001, top left) is running for InterAct Reading Service, a charity for which she also volunteers. 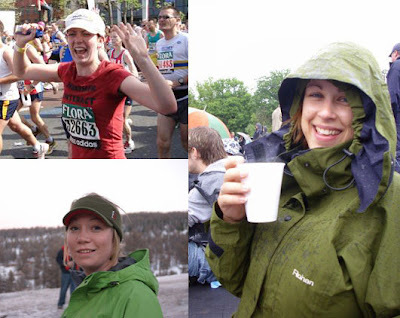 Amy Hammond (Ambue Ari 2003, bottom left) is running for Action for Children and Jenny Bloomfield (Yachana 2001, right) is flying all the way back from Hong Kong for the weekend, so she can run for Marie Curie Cancer Care. Running 26 miles at any pace is a fantastic achievement, and raising some serious cash for extremely worthwhile causes makes it all the more impressive. Well done girls and the first pint will be on us! Anyone else from Quest running the marathon? Let us know and we'll plug your fundraising pages!